On behalf of Admin of JML Law, A Professional Law Corporation posted in Police Misconduct on Wednesday, Oct 10 2018. For many, home is a sanctuary of safety and comfort. Time at home is usually spent relaxing, with family, or recharging from the demands of the outside world. The last thing anyone expects to experience while being in the privacy of their home is a visit from the authorities. Be that as it may, the day may come when police are at the door asking to conduct a search. If you find yourself in this situation, it is important to stay composed. Do not let fear influence your decision making or persuade you to ignore misconduct by the police. Being familiar with the rights you have in the situation and how to react in the situation’s aftermath can help you stay composed when your home is being searched by the police and avoid injury. 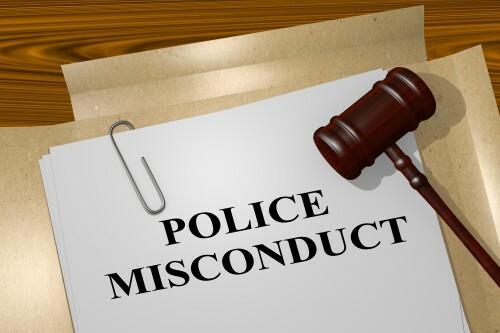 However, you may want to reach out to a Long Beach police misconduct attorney to address your questions on a personalized level if you believe you experienced police misconduct that led to injury during a home search. When it comes to searching your home, police can only obtain consent from certain people depending on your living situation. For example, if you live with a spouse, they can give police consent to search your house completely. On the other hand, roommates can only give police the consent to search common areas of the house. Guests or sitters cannot give police consent to search your home. If you find yourself in the situation of giving consent to police to search your home in California, be sure to begin communications by asking for a warrant. In most cases, authorities do not have the right to enter your home without consent or a warrant. The only time they can do so is if they suspect that you may bring harm to your home or occupants within the home. However, if police do enter your home with a warrant or valid reason, you should never attempt to prevent them from doing so with any physical acts. Doing so will only increase your likelihood of injury by escalating the situation. Sometimes injuries due to police misconduct are unavoidable, but you should do everything in your power to prevent them. An unlawful search of your home can leave you feeling violated and abused. You may have been injured as a result of the unlawful search of your home. Injuries stemming from the search may have left you with hefty medical bills or unable to work. Whatever the situation, you are likely suffering as a result of police misconduct during a home search. If you were hurt as a result of police misconduct during a home search, you may be considering pursuing a claim. However, it can be incredibly hard to stand up to police misconduct on your own. For that reason, you should consider contacting a Long Beach police misconduct attorney. JML Law does not believe that you should have to suffer as a result of police misconduct. For a free consultation, click this link or give us a call at 818-610-8800.